Angels love Luis' rich, bold red Montaria. The Reserva is Montaria's confident, gorgeous older sister - full, lush and totally tantalizing. It's a bit more grown-up, and almost intimidatingly perfect. The Lisbon area, once known as Estremadura, is an ancient and proven wine country with a rich history... but most Americans aren't familiar with the region's ripe, juicy wines. Angels support Luis so that he can make bold, daring wines like this Reserva that really take advantage of Portugal's natural strengths (Mediterranean warmth combined with a cooling Atlantic influence). Luscious Zin, bold Petite Sirah, robust Cab, juicy Teroldego and inky Petite Verdot...hooo, boy! David made you an incredibly rich, layered red full of dark fruits and warm, toasted spices. And that masterful blending is why you get this sumptuous wine at a bargain price. 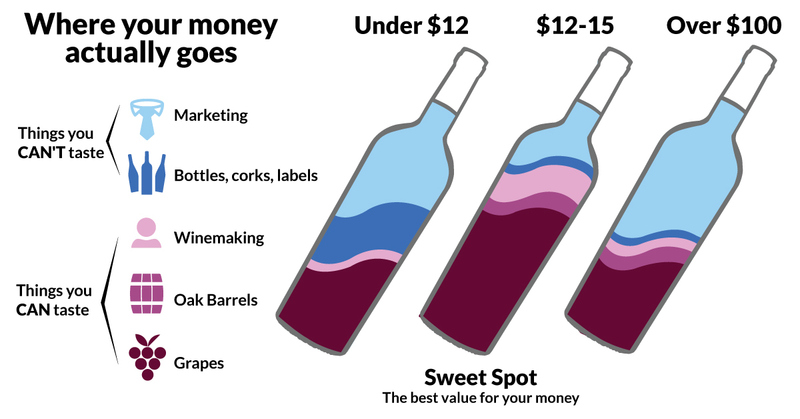 You're giving David freedom to make the most impactful wine he can so you get the most bang for your buck! If you like bold, dry red wine with a chocolate-smooth finish, this could easily become your go-to table wine. Macario worked with his growers to harvest these grapes nice and early to give you a smooth, easy-drinking red that's loaded with bold, juicy berries and a nice long finish. Macario uses unusual grape combinations like velvety Merlot and inky Petite Sirah – grapes that grow very well in California, but don't have the reputation and cost of other more widely-known grapes. So you get this flavor-packed blend for a great price! This blend's got amazing versatility – and you just can't say that about any red wine. The silky, sumptuous layers make this wine shine with anything... from appetizers to ribeyes! Sharon's showing off her blending prowess with this sumptuous mix of Petite Verdot, Petite Sirah, Tempranillo, Zinfandel, Merlot, Barbera and a squeeze of white wine for depth. Your funding gave this SoCal local the chance to harvest fruit from her favorite small vineyards in Paso Robles, and treat her fruit to some added luxury - she aged each portion of the blend in exquisite French oak barrels. ...What does that mean for YOU? A rich and vibrant red that's full-bodied and fresh, like a swig of smooth cherry cola. Get a bottle fast – soon your fellow Angels will be on the prowl! This sumptuous mix of Cabernet and Syrah isn't shy – it's full of wild fruit flavors and a powerful, punchy finish that sticks with you in the BEST possible way. In fact, it took home a Double Gold Medal at the 2019 San Francisco Chronicle Wine Competition – the world's taking your wine real seriously, Angels! And to think – it wouldn't be here without you. That's why a world-class blend – made by the most enthusiastic wine team in the biz – is yours for a such a savings. Just $10.99 a pop! This gorgeous, ruby-colored wine's loaded with bright red fruits, toasted vanilla and cheek-warming spices. You'll love the silky, seductive finish – thanks to a few months of oak aging. This is what's called a de-classified wine – insanely good stuff meant for a world-famous Spanish appellation, but for some small technicality it couldn't be included on the label. But Angels know it's what's inside the bottle that counts! ....that also means that Carlos could make your delicious red for a crazy price that only comes along once in a century. You have to seize these opportunities when they come along! This red just won Double Gold Best of Class at the 2018 New Orleans International Wine Awards. You're funding a scrumptious, award-winning wine! Your South American superstar just released a future blockbuster – a Mendoza red that's bursting at the seams with Latin flair. With your support, Mauricio bottled up the best of Argentina, blending Andean Syrah, full-bodied Bonarda and the moneymaker – Malbec! – all harvested from Uco Valley, the most coveted vineyard region of Mendoza. At under $10 per bottle, this special blend is a steal, so be sure to snap it up quick! It's 5 Bordeaux wines in one – rich Cabernet's the backbone. Merlot adds supple spice and juicy fruits, like black cherries and plum. Cab Franc and Petit Verdot make it robust and inky – and the Malbec smooths out every sip. ... and it's made with one-of-a-kind California flair, thanks to DH – your Angel-funded winemaker who loves world-class fruit as much as a world-class deal. With your support, he called on his connections to haul in the best fruit in the state! Cali's climate gives this traditional blend a crazy amount of oomph – it's not the French wine you know. It's more rebellious, more robust... and it's gonna be great with steak frites. Claudia and Oscar made you an incredibly smooth red from grapes grown on their estate in the breathtaking Douro Valley – loaded with juicy red cherries, dark fruits and warm, toasty spices. Your winemakers chose fruit from three different vineyards for this blend – where the rolling hills, varying altitudes and ancient river soils add layers of luscious, concentrated flavor to your red. This is an incredible small-production wine that you won't want to miss! Sip this scrumptious red with savory dishes like rack of lamb to magnify all of the scrumptious layers of flavor.